Last week me and my sister with her daughter went to the next city to looked for a white bunny for my niece. Abby my niece always ask her mom for a white bunny so we travel and looked at the petsmart. But we can't find there instead I was attracted to these colorful birds. In just a matter of seconds I took few pictures in there. Here it is they got cute eyes when I clicked my camera. To view more photos, check out our Camera Critters website hosted by Misty. Thanks and Merry Christmas to all. 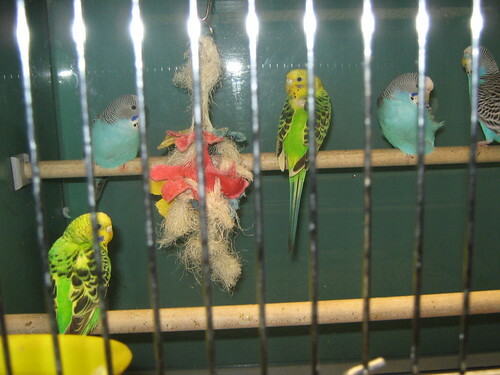 We also had budgies once. They were my son's! But in the end it was me who had to clean their cage. Such pretty birds, love the colors. Great shot on the birds! The first picture is so pretty. My Camera Critters post is now up, too! You can check it here if you have some time. I'll be glad to see you there. They are adorable. I am from Missouri near Lake of the Ozarks. USA. 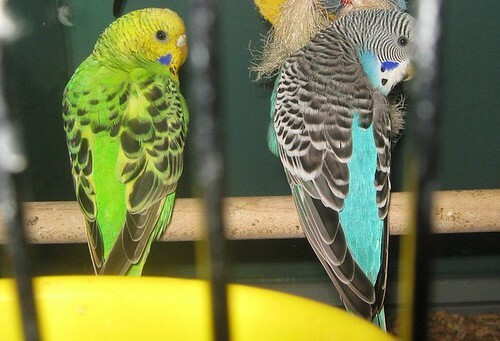 Such colorful budgies sis! I love birds but it's probably noisy when you take them home. They are SO pretty!!! I LOVE their colors.